Taylor Swift's latest music video features a special guest of honor - and not the usual celebrity kind. The singer's music video for "Wildest Dreams," which was released on Sunday night during the MTV Video Music Awards, portrays Swift as an actress on an African film set. 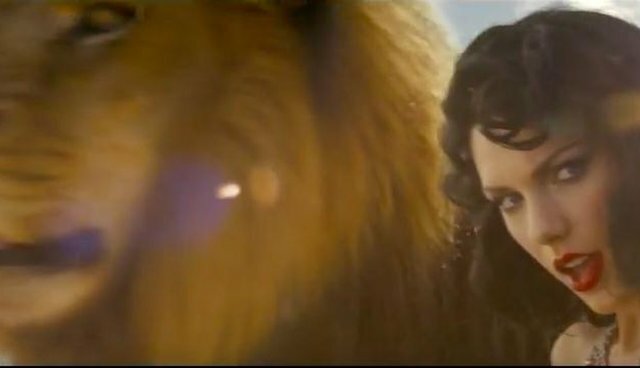 The video features shots of African wildlife, including a black-maned lion who looks suspiciously like Cecil. Cecil was killed earlier this year by a Minnesota dentist who paid $55,000 to lure him out of his home in a protected wildlife reserve in Zimbabwe and hunt him down over two agonizing days. While it's not clear whether the video uses actual footage of Cecil, the video's a sweet tribute to the lion who got the whole world talking about conservation. And, since actions speak louder than words, the end of the video features an even more important message: All of Swift's proceeds from the video will be donated to conservation efforts through the African Parks Foundation of America.